Entre Paris, Prague, Nuremberg, Manchester, la campagne polonaise et le littoral romain, « Nico, 1988 » est un road movie dédié aux dernières années de Christa Päffgen, plus connue sous le nom de « Nico ». 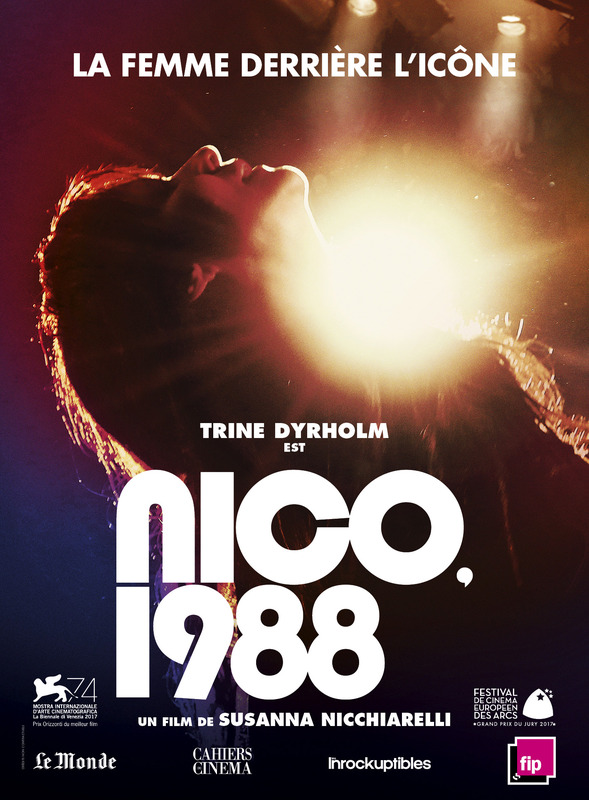 Set between Paris, Prague, Nuremberg, Manchester, the Polish countryside and the Roman seaside, Nico, 1988 is a road-movie dedicated to the last years of Christa Päffgen, known by her stage name “Nico”. One of Warhol’s muses, singer of The Velvet Underground and a woman of legendary beauty, Nico lived a second life after the story known to all, when she began her career as a solo artist. Nico, 1988 is the story of Nico’s last tours with the band that accompanied her around Europe in the Eighties: years in which the « priestess of darkness », as she was called, found herself again, shaking off the weight of her beauty and rebuilding the relationship with her only forgotten son. It is the story of a rebirth, of an artist, of a mother, of the woman beyond the icon.